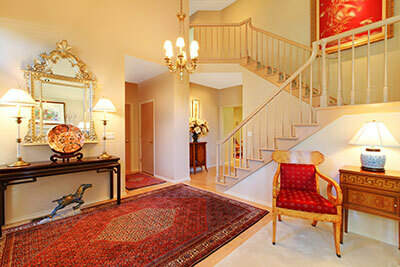 Palm Beach Oriental Rug Cleaning Pros specializes in Oriental rug cleaning and repairs in Lake Worth, FL. If properly cared for, your fine handmade rug should last a lifetime. Although prevention is the best medicine, professional rug cleaning is indispensable for maximum enjoyment and preservation of your oriental or antique rugs. The exquisite beauty of the handmade Oriental rug make it one of the world’s treasures. If properly cared for, your rug can last for generations and be an endless source of pleasure in your home. Here are a few basics to ensure your rug is afforded the best protection: Have Your Rug Professionally Washed. 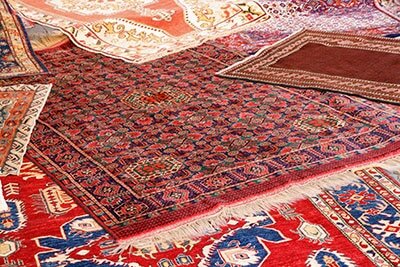 Oriental rug experts agree: the proper way to clean a rug is by hand, in water, without harmful chemicals and machines. This hand cleaning is the same method used for thousands of years. It is time consuming, but preserves these beautiful works of art and is thus worth the time and effort. Continued use of a carpet that contains common household soils and grit accelerates the wear of the carpet by literally cutting the fibers and encouraging mildew and pests. In-home surface cleaning of these carpets does not remove the particles from the foundation of the carpet, and is not recommended nor endorsed by any authority on oriental rugs. Washing your treasured handmade rugs is the best protection you can give them. Careful washing will save your rugs from destruction by accumulated dust, lint, dirt and sand. At Palm Beach Oriental Rug Cleaning Pros, we’re happy to share a few tips about preserving your Oriental rug. Remember that soil and dust particles are acting like tiny razor blades sawing away at the fibers of your rug when you walk on it. Try to vacuum often, and avoid the fringes (The fringes in most cases are an extension of the foundation of your rug. You want to avoid damage to the fringes). It is also important to rotate your rug to avoid continually walking over the same spots (remember the soil and dust acting like tiny scabbards). You should also be on the lookout for sun fade, which can be mitigated to some degree by rotation—although sun fade is something you want to try to avoid altogether. Sun fade is very difficult to correct, if not impossible. When you move, or when you purchase a new rug, you should be conscious of how the light from your windows will affect the rug. Be particular about skylights. Also be aware that you may not see a full day’s effect if you are not home during the day to observe how the light falls at different times. We advocate a coating for your windows, which will block much of the harmful rays. We have had this done in our own home. If this is not possible, consider curtains and shades. Once the rug becomes faded unevenly, it is virtually impossible to even out the color. Although this advice may impart the feeling that your rug is fragile and requires a lot of care, the opposite is true. Oriental rugs are extremely durable and will last a lot longer than wall-to-wall carpeting if you take care of them. This is essentially: wash them periodically, vacuum, and keep them away from harmful sunlight, moths and your young animals. You will be able to enjoy your rug for your lifetime. 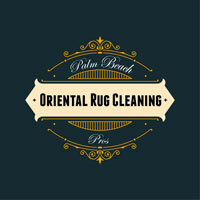 If you have any questions at all, contact our experts at Palm Beach Oriental Rug Cleaning Pros.